Being one in Christ Jesus, we recognize our diversity and accept and embrace all persons. 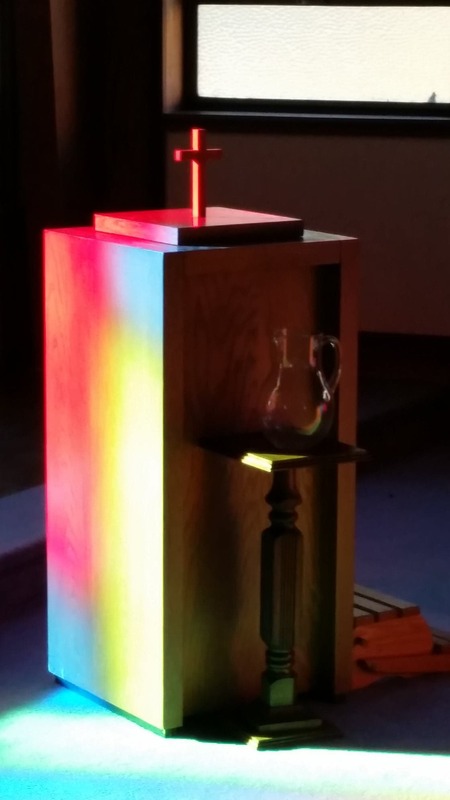 Colors of God's Promise over the baptismal font. · Encouraging spiritual growth through Christian Education and expression of personal faith. This day is a gift I receive from your hand, gracious Lord. Direct my mind to think peaceful, excellent, praiseworthy thoughts. Guide my hands to help someone in need. Fill my time to make every moment effective and productive. Let me be both grateful and pleased with all that will be accomplished this day. The day is over, and I return it to your kindly hands, heavenly Father. Bless all that I have done and said. Forgive my failures, and use even them for good. You are my beginning, and you are my end; let me rest now in you this evening.